Tuscany is one of the most famous tourist locations in Europe, thanks to it renowned history, its endless artistic beauties, its wonderful landscape and the quality of the produce grown and made there, especially its wine. It is a mostly hilly region, except for the mountain stretch of the Apuan Alps. 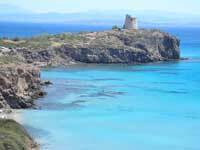 It also has a long stretch of coastline looking out onto the Tyrrhenian Sea. Tuscany’s history dates back to very ancient times: the first human settlements that we know about were Etruscan, who built the town of Fiesole in the 1st century B.C. Florence is the true symbol of Tuscany, birthplace of the Renaissance, capital of the region and a city that has been visited by travelers, artists and scholars from all over the world such as Keats, Goethe, Lord Byron and many others for centuries. 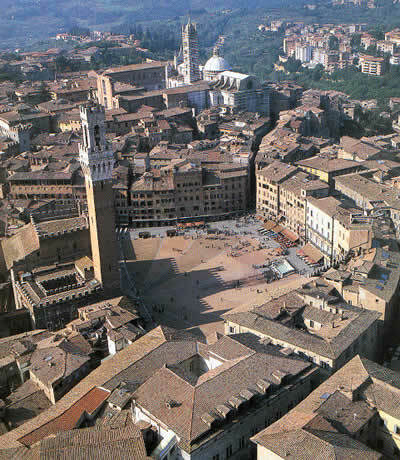 Another pretty city of art with an important cultural heritage is Siena, a city filled with a medieval atmosphere and setting for the famous Palio race each year. The famous area of Chianti spreads out around Siena. The area is full of other charming towns where time seems to have come to a standstill: San Gimignano, Montalcino, Radda in Chianti, Pienza. Lucca, surrounded by its huge 16th century, medieval walls and Pisa with its famous leaning tower built at the end of the 12th century are another two of the cities of art in this region. 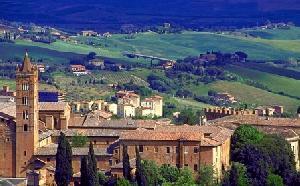 Tuscany has fertile, luxuriant land. 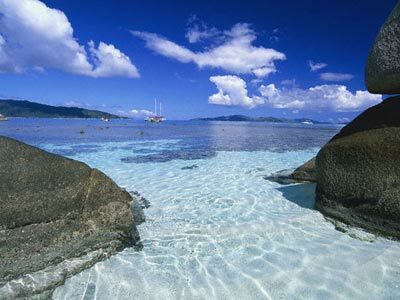 The landscapes are amazing, full of nature reserves, thermal spas and wonderful beaches. The hills are outlined with rows of vines, dotted with olive groves and cypress trees: a perfect view that leaves you breathless as you travel across Chianti country. Val d’Orcia and the nearby Val d’Elsa are just as pretty. The latter is near to Siena, on a road that runs through oak and holm-oak woods. Further south in Tuscany, we come to the Maremma area. This is a wild, unspoiled area, protected by the Nature Reserves that protect the environment. Maremma also has wonderful beach, lapped by the crystal clear, blue seawater and with its nearby islands: Capraia, Elba and il Giglio. Tuscany’s thermal spas, used since ancient times for well-being and cures, are also not to be forgotten. Some of the most important spas where the waters have beneficial properties are Saturnia, Chianciano Terme and Pitigliano. Tuscany is famous worldwide for its food and wine produce, grown in this fertile soil that have produced unique, high quality goods for centuries. These products are the jewel in the crown, together with the tourist industry, of the region’s economy. Each area has its own typical, characteristic products: Siena is famous for its panforte cake and ricciarelli almond biscuits, while the nearby rural areas are well-known for the production of cinta senese pork salami products and for cacio pecorino cheese made in the area to the south of Siena known as “le Crete”. 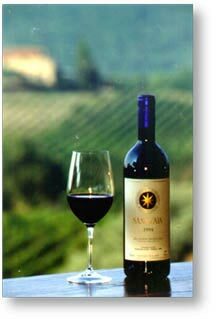 The Chianti area is famous for its wonderful extra virgin olive oil and most importantly for its red wine: Chianti Classico, Brunello di Montalcino and Rosso di Montepulciano. In Florence visitors must try the ribollita soup and the famous "Fiorentina" steak, coming from the Chianina breed of cows. 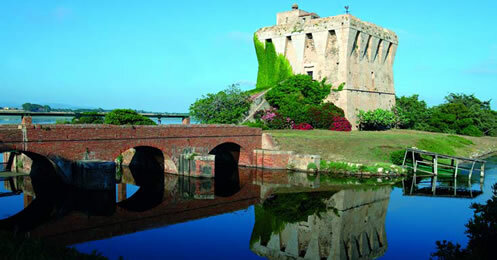 In Livorno, you must try the caciucco, a tasty fish soup made on the coast.